Become a member and sail with The Ship's Company.....Traditional Seamanship.....Boat Building.....And Fun! HULL: Lapstrake planking, white cedar on oak stringers with Mahogany ply transom and thwarts. Walnut gunwhale. White cedar keel with oak shoe. 4 oarlocks. Revenge was built from plans taken from a "Wooden Boat" magazine and slightly modified. 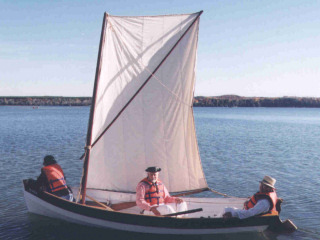 The design is a "Penobscot 14", a lapstrake hull with stringers at the lapjoints instead of ribs. This results in a cleaner interior and less leakage at the lap joints. The planking is 7/16 inch white cedar so the boat is light, tender and somewhat fragile but sails beautifully in light airs. 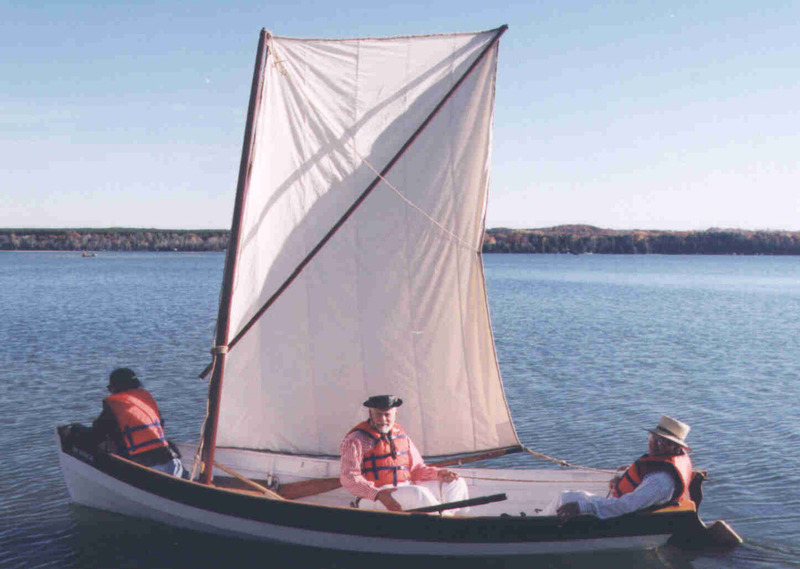 The sail is a cotton spritsail on a 12 ft. mast with a 12 ft. sprit. With 2 rowers she really flies. Construction was started in Dec 1999 in the basement of our first clubhouse but had to be moved before the gunwale planks were put on. Revenge was then finished in the blacksmith shop of the Centennial Museum and eventually launched on July 1, 2000. 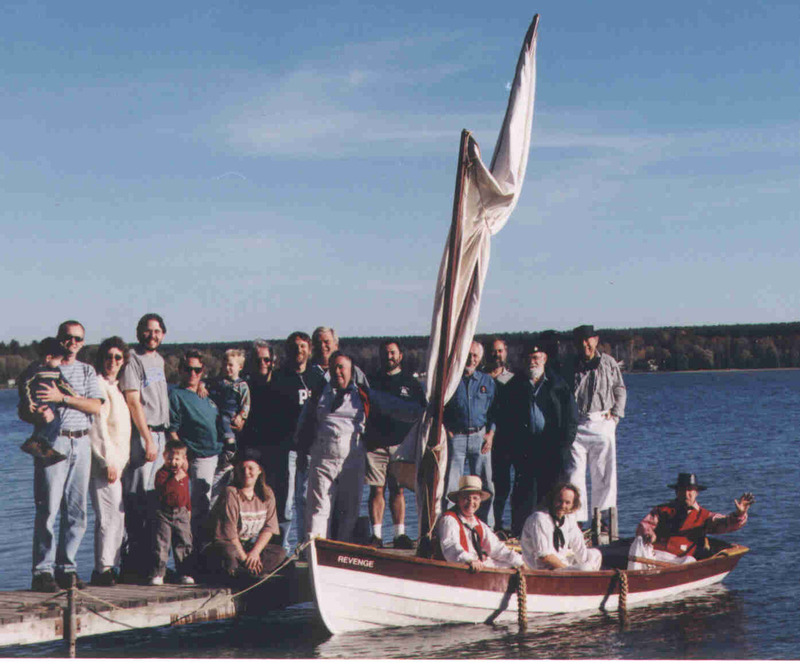 Content Copyright © 2007-2019, The Ship's Company of Penetanguishene. Website Design Copyright © 2009-2019, AndyDragon Software.